Enrique Chavarria was an intellectual, widely read Mexican recluse whose works can be compared with those of the Remedios Varo or Leonora Carrington. Like those well-known artists, Chavarria’s paintings often refer to arcane myths and esoteric practices. Acquired by an art gallery owner who passed away, few of them ever were offered for sale, thus the estate prices on these fascinating surrealistic paintings are quite affordable. 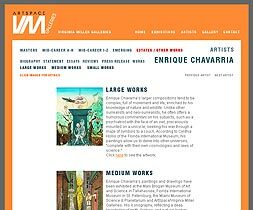 Chavarria’s paintings have been exhibited in two Florida art museums, Florida International Museum in St. Petersburg and the Mary Brogan Museum of Art & Science, Tallahassee.